Grain-Free & Gluten-Free, natural dry cat food with added vitamin, minerals and amino acids formulated for cats and kittens of all-life-stages. High protein emulating a cat’s natural diet. Made with delectable, nutritious chicken to create a well-balanced meal fit for any carnivore. No corn, wheat or soy which are common allergens for cats. 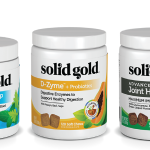 Unleash your Cat’s Inner Gold & Experience the Sold Gold Difference – satisfaction guaranteed! Crafted with Chicken Meal, Potatoes, Peas, Chicken and other wholesome and nutritious ingredients. Ingredients: Chicken Meal, Potatoes, Canola Oil (preserved with mixed Tocopherols), Peas, Chicken, Ocean Fish Meal, Dried Eggs, Natural Flavors, Pea Protein, Choline Chloride, Potassium Chloride, Taurine, DL-Methionine, Salmon Oil (preserved with mixed Tocopherols), L-Carnitine, Dried Chicory Root, Carrots, Pumpkin, Apples, Cranberries, Blueberries, Broccoli, Parsley, Spearmint, Almond Oil (preserved with mixed Tocopherols), Sesame Oil (preserved with mixed Tocopherols), Yucca Schidigera Extract, Dried Kelp, Thyme, Lentils, Vitamin A Supplement, Vitamin D3 Supplement, Vitamin E Supplement, Zinc Sulfate, Niacin, Ferrous Sulfate, L-Ascorbyl-2-Polyphosphate (Source of Vitamin C), Calcium Pantothenate, Thiamine Mononitrate, Copper Sulfate, Riboflavin, Pyridoxine Hydrochloride, Manganese Sulfate, Zinc Proteinate, Folic Acid, Calcium Iodate, Manganese Proteinate, Copper Proteinate, Sodium Selenite, Biotin, Vitamin B12 Supplement, Rosemary Extract, Dried Lactobacillus Acidophilus Fermentation Product, Dried Enterococcus Faecium Fermentation Product, Dried Lactobacillus Casei Fermentation Product. ^Not recognized as an essential nutrient by the AAFCO Cat Food Nutrient Profiles. 2 Benefits: All 4 cats liked the food. More digestible therefore less feces produced in litter box. Con: The kibble near the bottom of the bag had crumbled into coarse granules to excess. Cats don’t lick up crumbs as dogs will. Not certain if this is a storage and handling issue. My cats really liked this food and didn’t seem to eat as much to satisfy their hunger. With the quality of the ingredients and more digestible protein, their haircoats and overall appearance are improved. Less feces are produced! With the better quality comes a higher price. With four cats cost will be an issue. 2 Benefits: She loved it & no hacking it up! Put two bowls down side by side. One was Now salmon and turkey, the other was Indigo Moon. The cats liked the Indigo Moon better. I really appreciate feeding my cats grain-free food that is high in protein. They like it better than most other foods and I never have to worry about food going to waste. Con: A bit expensive, but worth it because he ate less. My 19 year old ate this food right away & has been eating less than usual. I love all the natural ingredients in this food. This is our new food! 2 Features: Grain free, high protein, and no gluten! My male cat eats almost anything, so naturally he loves this food. 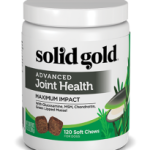 My female cat has had food allergy problems, and has been on Hill’s z/d low allergen food. On regular food, the licks and plucks out her fur on her belly. At the suggestion of the SG Northland rep, I slowly added in Indigo Moon a few pieces at a time. I’m happy to say that I am now feeding her 3 meals of just SG each week, with no excessive licking or plucking. I’m thrilled that she might be able to eventually be on regular food full time again. My cats absolutely loved this food, and snarfed it up. Their coats became richer in color, softer to touch, and shinier. Their stools were smaller and less frequent. 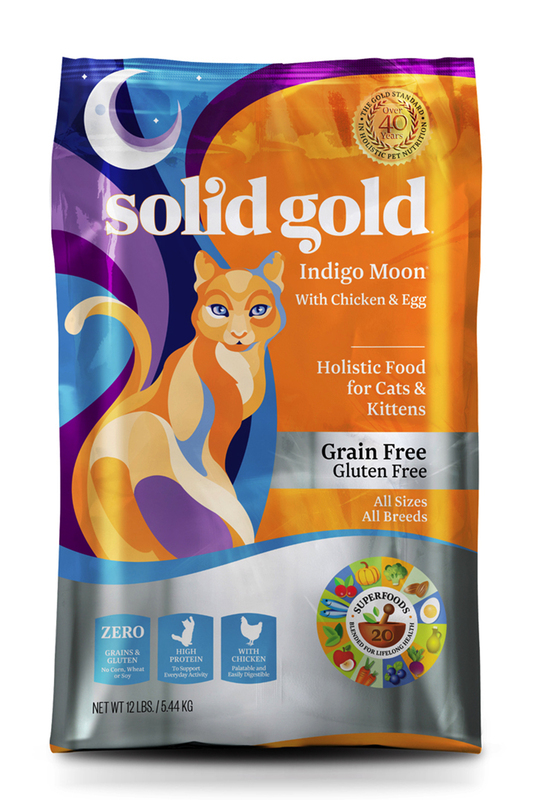 When we have tried to switch brands of cat food previously he would not eat it and Indigo Moon was just fine with him. My cats are old and set in their ways. Generally do not try anything new. This cat food was very well received. Nice size and shape of kibble. Con: Haven’t found one yet. This is definitely a product that I will recommend to friends and family members who have cats. My oldest cat that is 16 has a sensitive digestive system and usually throws up on the carpet at least once a week or so. Since starting her on Indigo Moon I have not noticed any signs of puking. Not only is she happier, I am too as I don’t have to clean up after her all the time. Con: It is expensive to feed as the only dry food, so I will add it in smaller amounts with their other food. The cats liked the taste of this food so much they chewed a whole in the bag so they could eat it at their will throughout the day. 2 Features: Grain free and no sugar, salt and animal fat added. 2 Benefits: Perfect size and shape and the cats ate all of it in their bowls. Con: It seems to be more expensive than other food so I wouldn’t feed this exclusively to my cats. I would buy a bag of this maybe every third or fourth time. Both of my cats like this food. They ate the whole 1/2 cup I put in each of their dishes. I feed my 5 year old cat twice a day. He gets both canned and dry food. He usually eats all the canned food and then eats the dry. When I put down the Indigo Moon I noticed that he ate that first and then the canned that is usually his favorite. The 19 year old cat usually eats his canned food and leaves the dry to snack on throughout the day. He does not at all pay that much attention to food. At the end of the day I dump whatever is left in his bowl. I have noticed that his bowl is empty now that he has been on the Indigo Moon. I have a very finicky kitty and it’s nice when I find a food she likes — of course, it has to have seafood in it! This one is great with no grains. I do have to slightly decrease the amount of this dry food since she puts on weight if I feed her the same amount as other foods. Con: ….can’t think of any. I love having a cat food without having any grains. Instead of using canned cat food, I use the Indigo Moon (soaked overnight in well-water) and add a little bit of canned tuna to it – plus, I chop-up raw red meat, or raw chicken, and add that to it…and the cats thrive on it. Thank you Solid Gold for Indigo Moon. I also feed them a little dry before the wet food – and a little after – to clean their teeth. 2 Benefits: Within a few weeks of switching to this food my cats hair is so shiny, and she has so much more energy than before. After my 14 year old Siamese was diagnosed with cancer and had lost a lot of weight (she was down to 5 pounds) I was on a search for a better quality food than I was feeding her.. After reading many cat food nutritional labels I decided on giving this food a try. Not only was it high in protein and low in carbs, it had more calories than her food she was on. She is quite the finicky eater and she took to this food right away. Nearly 5 months on this food and 5 months after cancer diagnoses she is doing great! She is now 8 pounds, and more playful than ever. I noticed her fur was silky shiny after a few weeks on this food. I am not saying this food has cured my cat, (she still has cancer) ..but a good quality high protein food can do wonders at improving a cats quality of life! My 2 Cats LOVE this product!! I have 1 senior and 1 VERY picky 2 yr old that will not eat any other Dry Food!! Con: The only con was it doesn’t agree with one of the cats. This cat food is amazing, it is very high quality. The best thing is because it is high quality they poop less and the litter box never smells. I love it so freaking much and they love it more!